All of us may pay a steep price for the awful investment decisions of Steve Bannon’s father. During the height of the 2008 financial panic, Marty Bannon sold his large concentrated position of AT&T stock at prices near generational lows. This ill-advised trade changed both Marty and Steve Bannon’s lives forever. This event led Bannon to become a strong proponent of “America First” Nationalism. 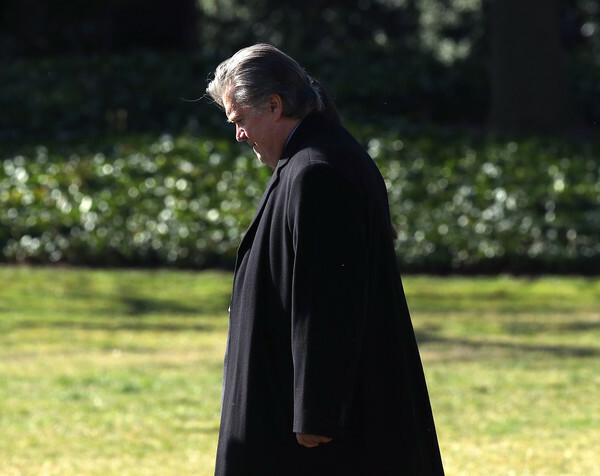 It also galvanized his intense opposition to “globalization.” In his role as Chief Strategist, he often encourages President Trump’s anti-immigration and protectionist trade impulses. While Marty Bannon seems like a good man, he is a textbook case of what not to do as an investor. Steve seeking to blame the system and then trying to radically alter it seems irresponsible to say the least. It was not a “global conspiracy” that led to Marty Bannon’s life changing decision. It was his own mismanagement of his life savings that did the trick. This had nothing to do with the news media, open borders, or elitists. It was Bannon’s fault. While Wall Street greed played a large role in the collapse, Steve Bannon needs to look closer at basic behaviorial finance before he attempts to blow up the system based on his dad’s cognitive errors. Marty Bannon is a prime example of why are brains are not wired for investing. The fact he was 86 years old and had a portfolio that was concentrated 100% in one stock is inexplicable. This led him to make several common behavioral errors. He fell hook line and sinker for the recency effect. He thought the horrors of 2008 would continue indefinitely. He also held strong optimism bias. He believed AT&T was the same powerhouse it was during his 50 years of dedicated employment. He suffered the terrible pains of loss aversion The sharp decline in the stock was too unbearable for him to endure, despite the decades of gains he experienced in the past. He was afflicted with meta-cognition. This led him to believe he knew something about the markets because he had a strong knowledge of the internal workings of the company. He did not even ask his son for advice though he had been a big shot at Goldman Sachs. He ran with the herd. Herding is very common behavior. Sell low during panics, buy high during bubbles. The siren calls of the media became too much for him. He believed the folly of market forecasting. After Jim Cramer told “Today” show viewers to pull money from the stock market if they needed any cash for the next five years, Marty Bannon freaked out. The 1950s are gone forever. That world no longer exists. The Algos and Robots are in charge now. Trying to bring “the good old days” back is just as crazy as expecting our brains to handle a stock market crash in a rational manner. We have many problems in our country. The solutions cannot be found blaming others for mistakes investors have been making for generations.